There’s a reason everyone loves movie badass Chuck Norris… it’s because CHUCK NORRIS. Chuck Norris can slam a revolving door. Chuck Norris kicked a horse in the chin – and made giraffes. When Chuck Norris stared at the sun, the sun went blind. All this and more is why great Chuck Norris cameos in movies and TV rock our world like nobody’s business. The man’s been an icon since making hit movies in the 1980s like the Missing in Action and Delta Force movies, and of course Lone Wolf McQuade. And because nobody conquers movies like Chuck Norris, he went on to dominate your TV screens in the 1990s with popular shows like Walker, Texas Ranger. But what we love the most is when Chuck Norris pops up in the most unexpected ways. It might be a reference on another movie or TV show, or even cartoon. 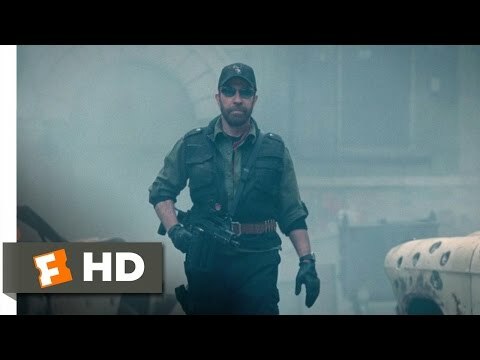 Some of our favorite Chuck Norris roles involve comedic bits, or are at least a little more lighthearted than his usual movies. He’s even appeared in funny commercials, like this hilarious one. Chuck Norris has almost 50 credits in his acting career, but often doesn’t make cameo appearances. That’s what makes these Norris bits so ridiculously entertaining. Let’s take a look at these cameos by Chuck Norris in movies and TV. Who would dare curse the name of Chuck Norris? Ben Stiller, that's who. In Dodgeball, Stiller plays a jerky gym owner trying to defeat his underdog rival (Vince Vaughn) at every turn. In the final match, when a dodgeball committee must decide the winner, it all comes down to you know who. Chuck Norris originally said no to the cameo because he was a three hour drive away from where they were filming. Ben Stiller finally convinced him by calling him personally and sending a helicopter to get him. Chuck Norris says he didn't read the screenplay - he just choppered in, gave a quick thumbs up, and got out of there. So Chuck Norris of him. 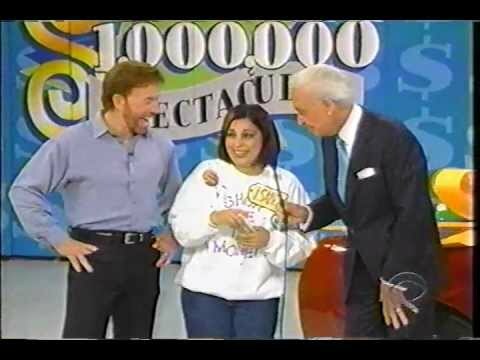 If Chuck Norris ever went on The Price is Right, the prize would be death. That's a joke, of course, because Chuck Norris DID make a cameo on The Price Is Right Million Dollar Spectacular in 2003 and the prize was actually a new Corvette. Then he rode out on the back of it, to the audience's delight. Fun fact: Chuck Norris taught Bob Barker martial arts. 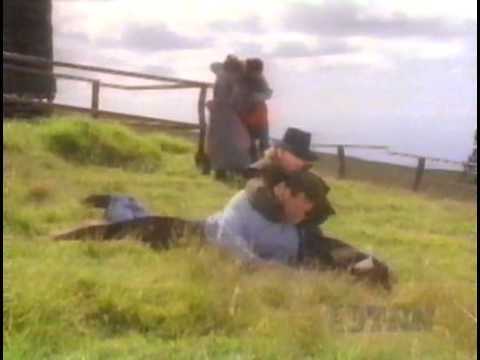 This impossible-to-find 1993 made-for-TV movie was essentially a long video promoting country musician Randy Travis and his album of the same name. The plot of the movie centers on a group of people making a Western film and it unbelievably stars Burt Reynolds and Lou Diamond Phillips. In a fight scene, Chuck Norris pops up to take Randy Travis down to the ground.